A Dimplex MicroFire is the perfect portable mini electric stove. Providing supplementary heat to warm the air in your room, it has two heat settings and features Dimplex Optiflame technology for a highly convincing electric flame effect. This miniature stove can also be used without the heat, so you can enjoy the ambiance of a fire all year round. This is an affordable, space efficient product that can bring the kind of cosiness to your small space that can only a fire can provide. If you are looking for something more traditional but still requires no maintenance or installation, then a Dimplex MicroSuite would be perfect. 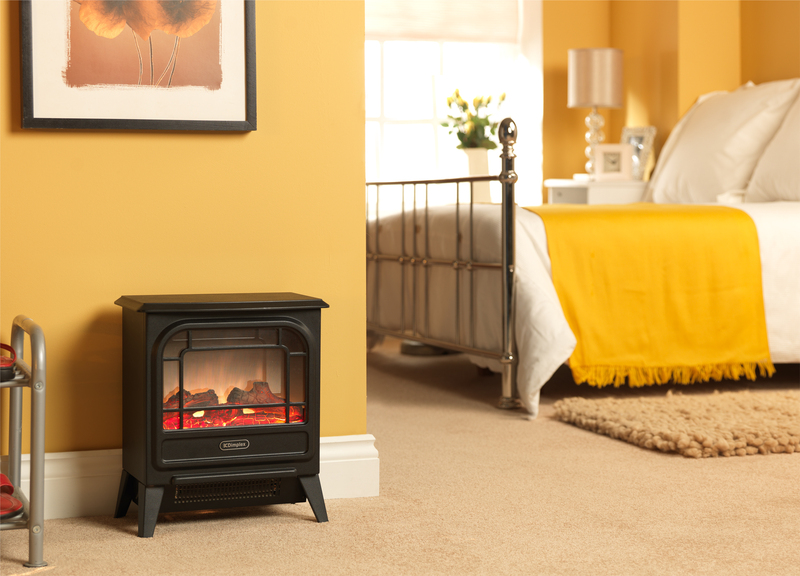 This plug-and-go miniature electric stove and surround are the perfect addition to small spaces, whether it is a small chimney breast or you just want it flat against a wall. It uses a fan heater and Optiflame technology with two heat settings and can again be used without the heat option. Perfect for giving a flat that traditional look, the MicroSuite brings all the impact of a real fireplace, but without having to give up what is already limited space. Dimplex’s range of Oil-free portable radiators is ideal if you are looking for supplementary heating on a budget. The patented eco-friendly Oil-free technology provides class leading warm up and energy efficiency. Most models have thermostatic controls, ensuring you can warm your space with reduced running costs of up to 30%, also due to the portability of these products, you can easily move them from room to room, wherever you need the heat most. The newest generation of young adults may be spending more on housing costs and may be limited to living in smaller spaces, but with the support of Dimplex products this doesn’t mean they have to compromise on comfort and warmth in their homes.